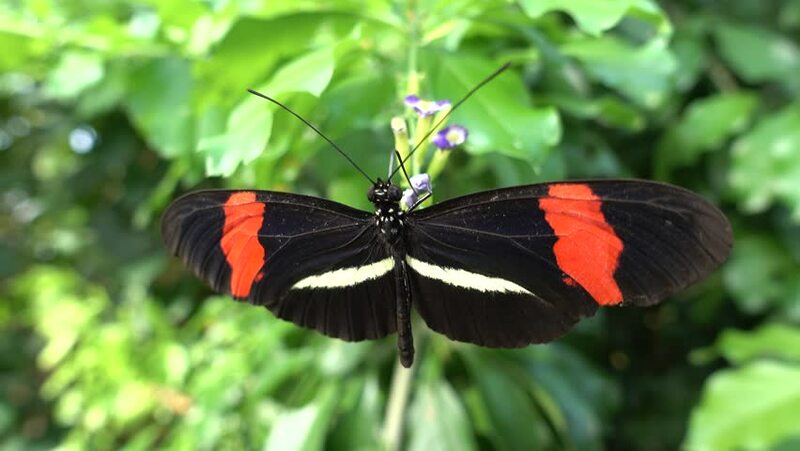 hd00:10Butterfly Postman Butterfly (Heliconius melpomene) departing from flower. Slow motion. hd00:06Red big Dragonfly, close-up, arrives on a sprig of green plants. hd00:16Flying adder on the leaf. hd00:28Macro shot of a butterfly drinking nectar from a flower.